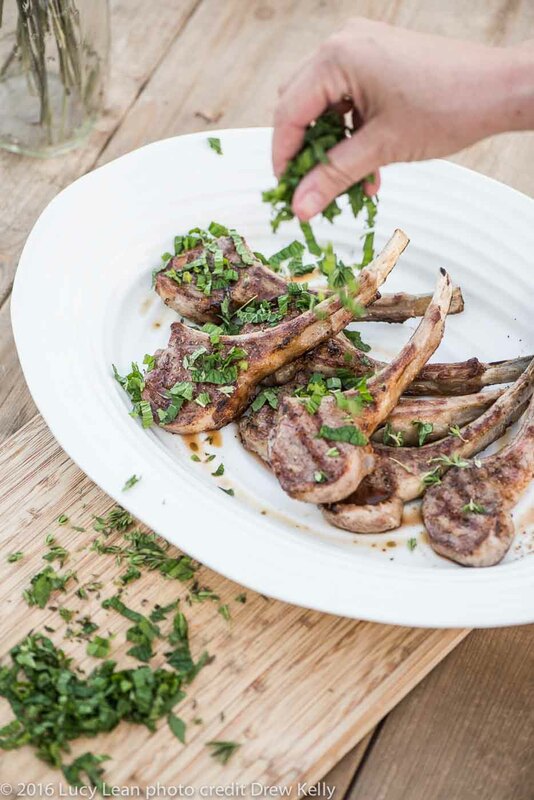 Grilled Lamb Chops, Easy Entertaining anyone? Tomorrow is the first day of fall – although with our current weather here in LA in the triple digits it certainly still feels like the dog days of summer. 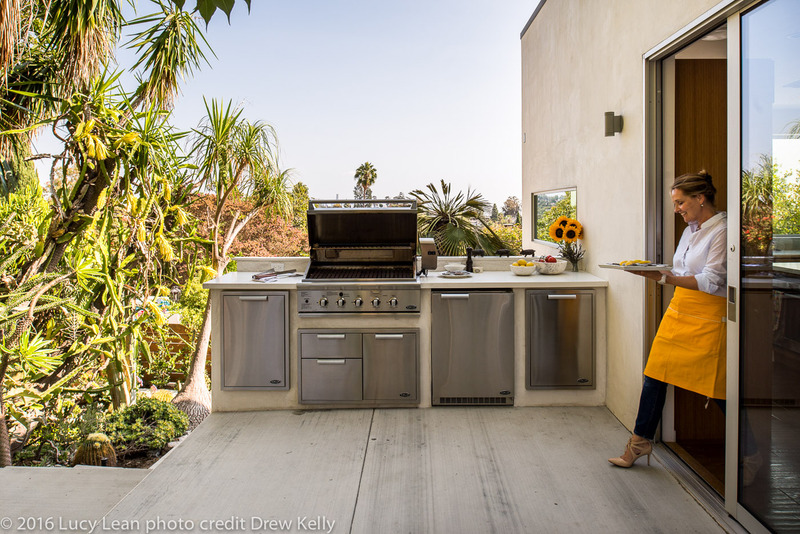 Living in Southern California means that Endless Summer feeling is real – and the outdoor grilling season extends through until Christmas and beyond… This grilled lamb recipe works well for outdoor entertaining and feeding a crowd on a warm summer evening. 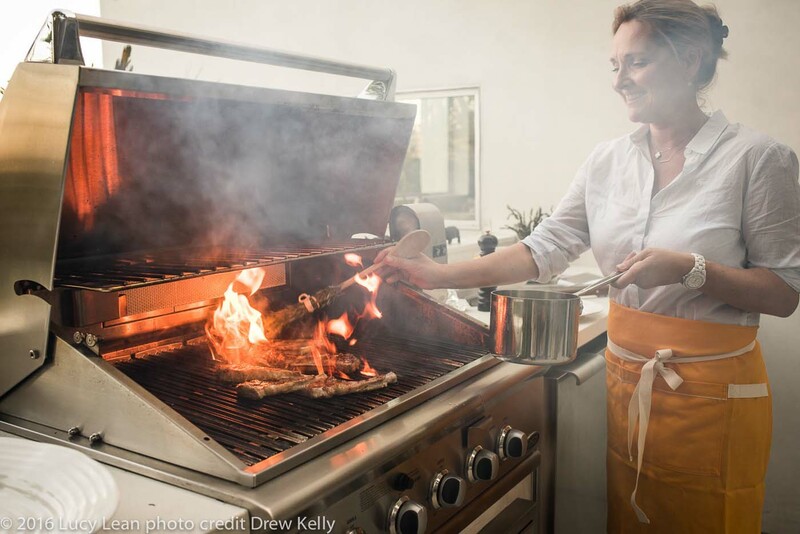 It’s also equally good for a cozy fall evening supper inside. This time last year I was featured as the cover story for GRILL MAGAZINE and this was one of the easy entertaining dishes I cooked up. 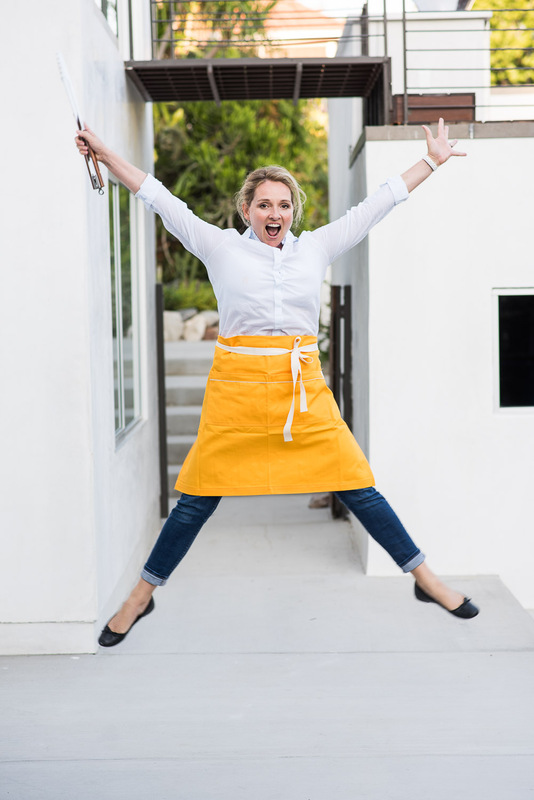 Make sure your Hedley and Bennet apron matches your sunflowers and Jump for Joy! Carefully salt the chops with fleur de sel. 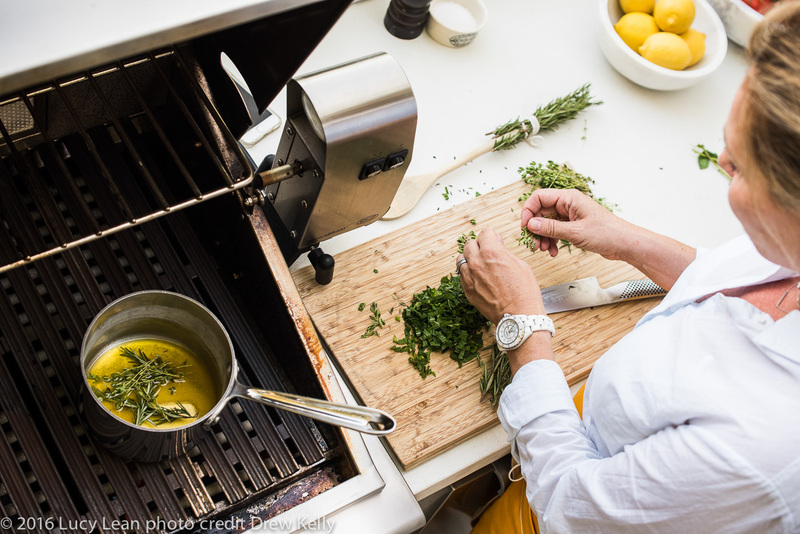 Make a herb butter by infusing melted butter with herbs – melt good quality butter in a small sauce pan and add rosemary, thyme and mint. 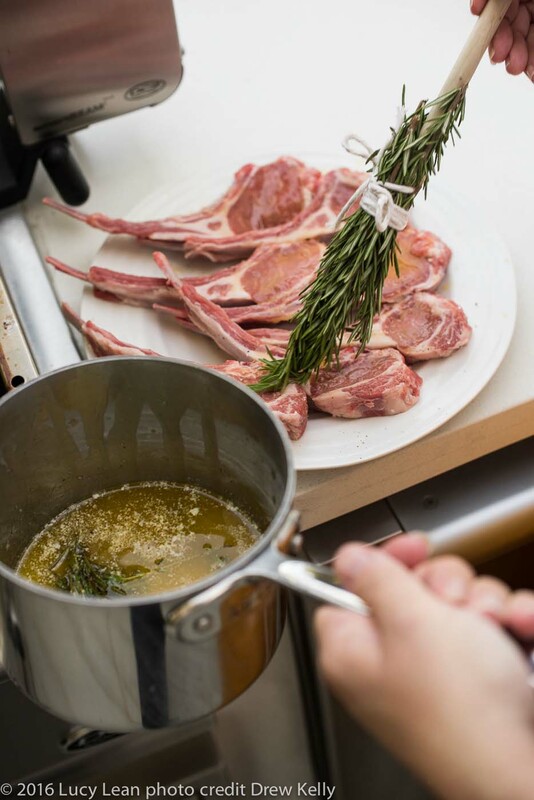 Brush the chops with herb butter using a homemade wand (sprigs of rosemary tied onto a wooden spoon). 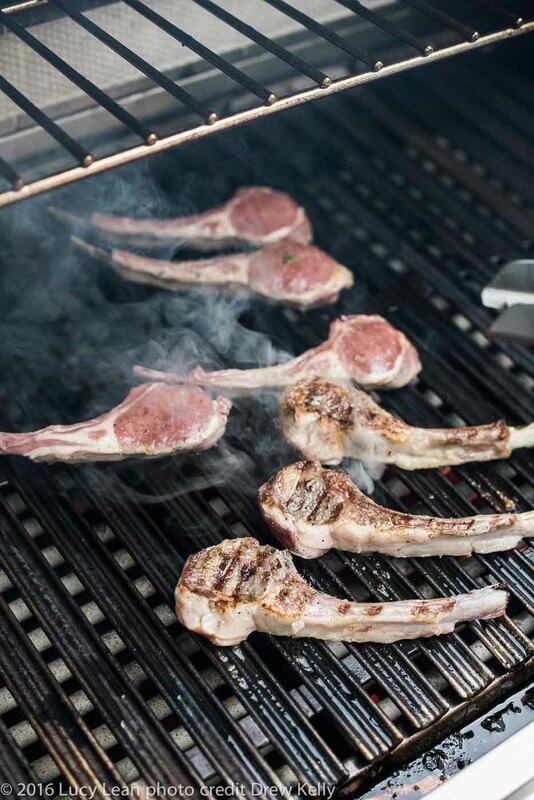 You can continue to brush the chops when they are on the grill. 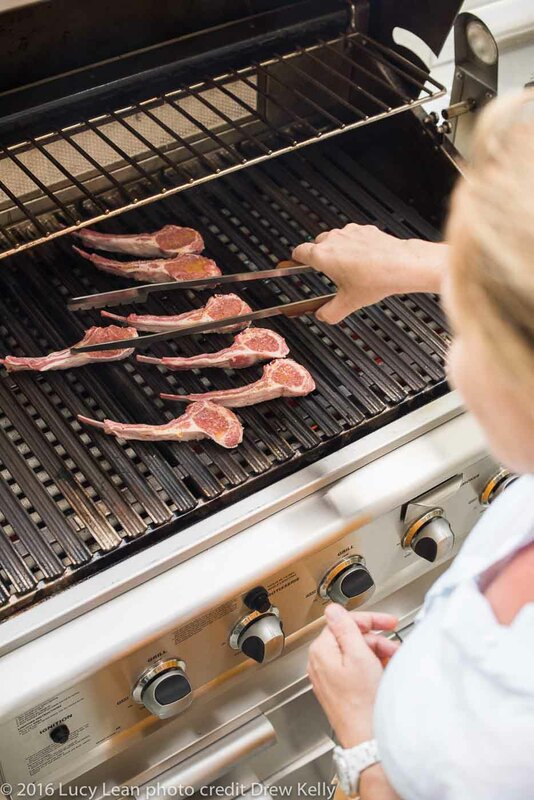 Make sure you grill is nice and hot before you put the lamb chops on. 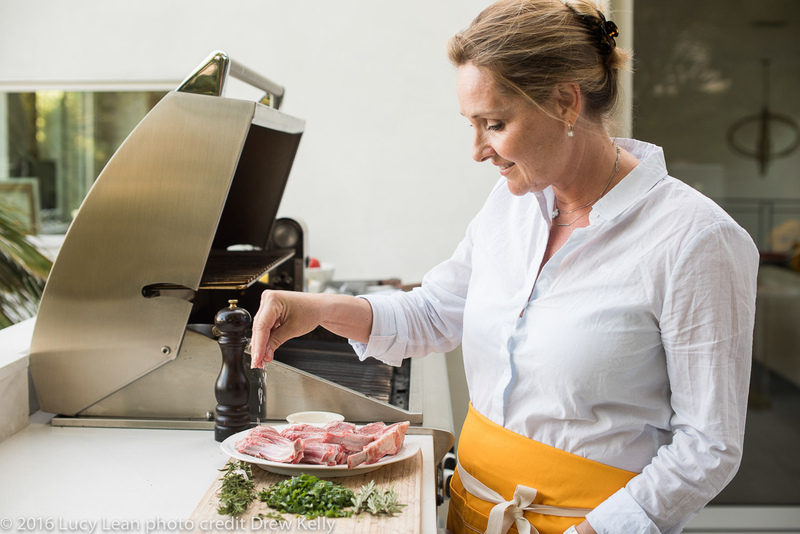 Lamb can be very fatty and causes a lot of smoke as it cooks – stand well back to avoid getting smoke in your eyes. Once the chops are nicely seared turn them – they only need a few minutes on each side because you want that nice juicy pink center. Remove chops from grill and place on large serving platter. Sprinkle with fresh mint. 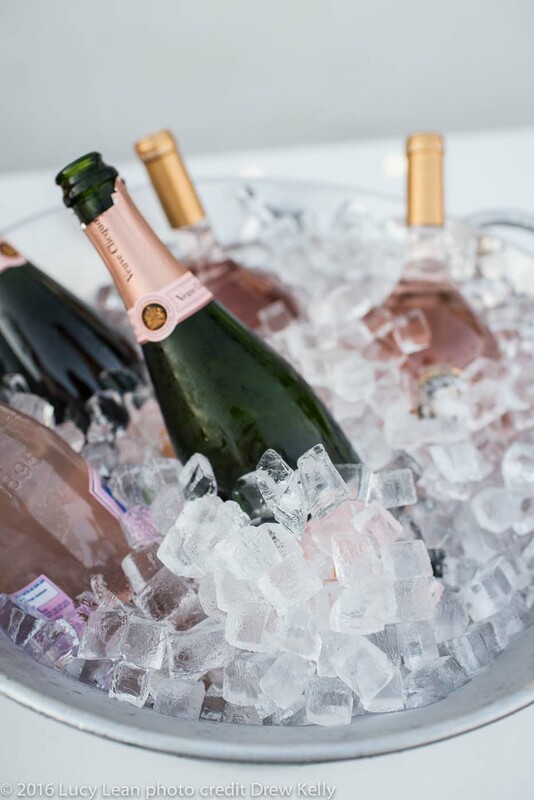 Serve to guests will a large glass of chilled rosé – bubbles optional. 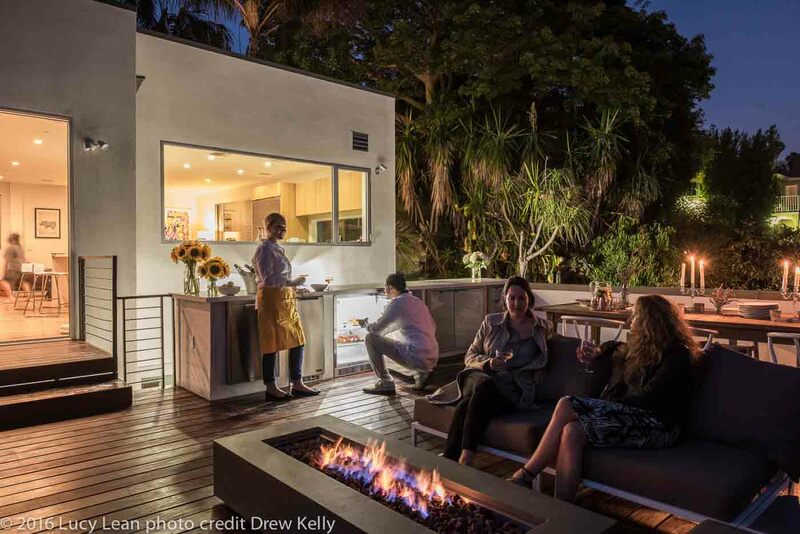 Relax on the outdoor deck as the sun goes down in the company of good friends.